Each product will state approximate delivery times. These are usually quoted in number of WORKING DAYS. We carry stock of most products and these are despatched either the same day or the following day. However at More Handles we offer a huge choice of products and for this reason cannot always stock every product, please check each product for its expected delivery time. If your order contains a mix of products they will be despatched together in one consignment. The despatch date will be determined by the product with the longest delivery schedule. You may wish to place separate orders if one of your chosen products has a longer estimated delivery schedule than others. 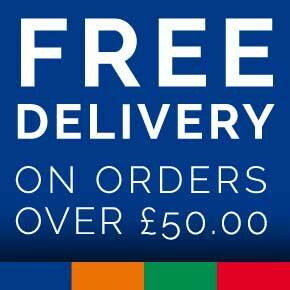 We despatch orders on weekdays only, excluding UK bank holidays. If you have placed your order online, you will receive an automated email when you place your order. Then when it is despatched you can expect an email providing you with despatch & tracking information. ONCE WE HAVE YOUR FULL ORDER IN STOCK.....Orders under £25 are sent via Royal Mail First Class Post. (no signature required) The £3.95 delivery charge includes a small order handling charge which will cover the packaging, administration and processing of low value orders, this enables us to keep our product prices low. ONCE WE HAVE YOUR FULL ORDER IN STOCK.....Orders over £25 will be sent via DPD Courier Service (UK Mainland Next Day service, other areas are on 2-3 day service). Please note that a signature will be required on delivery of the goods. We can offer Saturday and Guaranteed AM deliveries to most UK destinations for an additional delivery charge. Call us on 01228 516516 for more information. If you wish you can leave special delivery instructions when you go through the checkout process. Our Couriers will also try and contact you prior to the delivery to advise you of an estimated delivery time, and to allow you to repsond with any specific delivery instructions. If you do not leave any special instructions and you are out when the courier arrives they will leave a card with instructions on how to arrange redelivery or how to collect in person. Deliveries by our couriers are covered by our insurance but only until the consignee has signed for them on delivery. Please carefully check the package for damage, tampering or shortages before signing the delivery note. We cannot accept responsibility for damage or loss in transit if you have signed for the goods. PLEASE NOTE - We recommend that you delay booking any tradesmen to complete work that is dependant on our delivery until you have received and checked the products. Issues with delivery can occasionally occur and More Handles cannot be held responsible for any indirect or consequential loss caused by a failed delivery. If you need something urgently we will be happy to try and help, please give us a call on Tel: 01228 516516. The website can accept orders to ship to the following countries. *Please note some lighting cannot be shipped internationally or may incur additional delivery charges. If this applies to your order we will contact you ASAP. 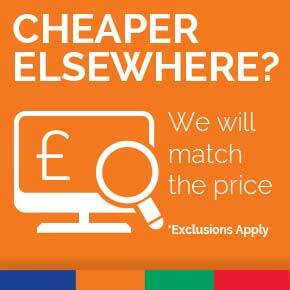 *If your parcel will be over the quoted weight we will advise you of any additional charges payable before we ship. Please allow an additional 1-2 days on our quoted delivery times for international orders to allow for additional checks and international paperwork. More Handles Ltd is not responsible for any additional customs charges, taxes or import duties that might be levied on receipt of the goods in your country. You will have to pay for any such charges made under your country's local customs policy. If we have despatched your order and our couriers have attempted delivery they will leave a card explaining how and where you can arrange to collect your parcel. Please arrange to do this as soon as possible as otherwise your parcel will be returned to ourselves. If a re-delivery is requested after an item has been returned to us by our courier then you will be charged again for delivery. If a part of your order is out of stock and likely to hold up delivery then we will normally advise you of the situation by phone or email. NOTE: Please do not refuse delivery of a package. If you wish to return an order this must be arranged as a separate transaction. Deliveries that are refused by the customer at the point of delivery incur a £15 fee when they are returned to More Handles and this will be deducted from any refunds made. Please accept the delivery and then contact us to arrange the return.